Why hire CBG Multimedia for your multimedia & low voltage installation projects? Price, Quality of Service, and Expertise. CBG Multimedia is a low voltage systems and multimedia installation, repair and services company. The audio/video, or A/V, and networking industry is changing now more than ever before. Businesses and individuals need a company like CBG Multimedia that have the insight, persistence and willingness to see the changes through. CBG is a grounded company with real people willing to work face to face. We work with customers to solve their low voltage, A/V, networking, security and other multimedia needs around both the office and the home. 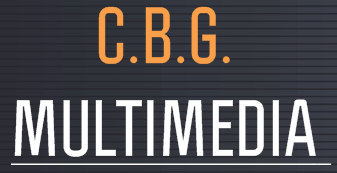 What services does CBG Multimedia offer? CBG Multimedia offers a wide range of multimedia, A/V, networking, cabling, and other low voltage electrical services to Michigan and the Midwest. The professionals from CBG Multimedia are certified experts in their industry and take pride in the quality of their work, especially in the functionality and aesthetics of their work in your home or office. We offer all of our services for both residential and commercial buildings and for both new construction and existing structures. Don't have the time, tools or expertise for your home's next multimedia or technology challenge? Give the experts at CBG Multimedia a call to get your next multimedia project done quicker, cleaner and cheaper.